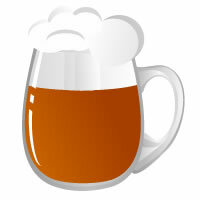 All Grain Dunkles Weissbier homebrew recipe. This homebrew recipe uses the following ingredients: Wheat - US, Munich Light - DE, Caramel Wheat Malt - DE, Carafa II - DE, Chocolate Wheat Malt - DE, Tettnang Hops, Wyeast Bavarian Wheat 3056 Homebrew Yeast. This recipe was cloned from Dana's Favorite Dunkelweisse.